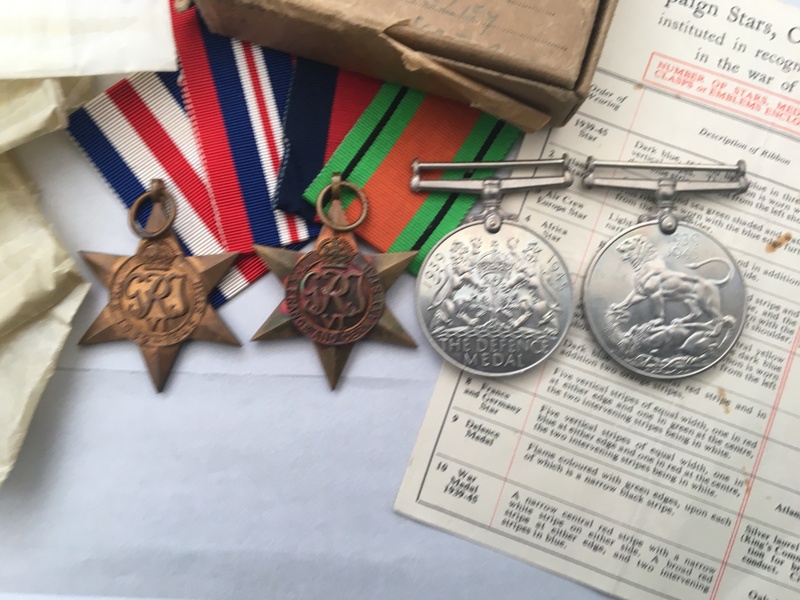 WW2 medal group in a box of issue addressed to a Mr M. Taggart, Paisley, Scotland. The Medal Box has been issued from the Medical Services and ATS records office in Winchester. 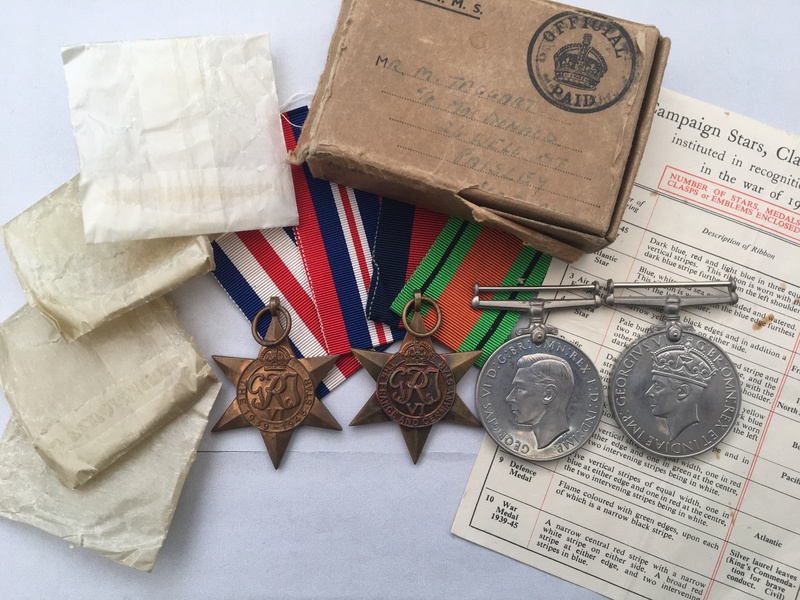 The medals are loose with their original ribbons and are still contained within their original wax packets accompanied by an Army Council Medal Award Slip. I have undertaken no further research in regards to this man. Price £65 - please read the terms and conditions below.